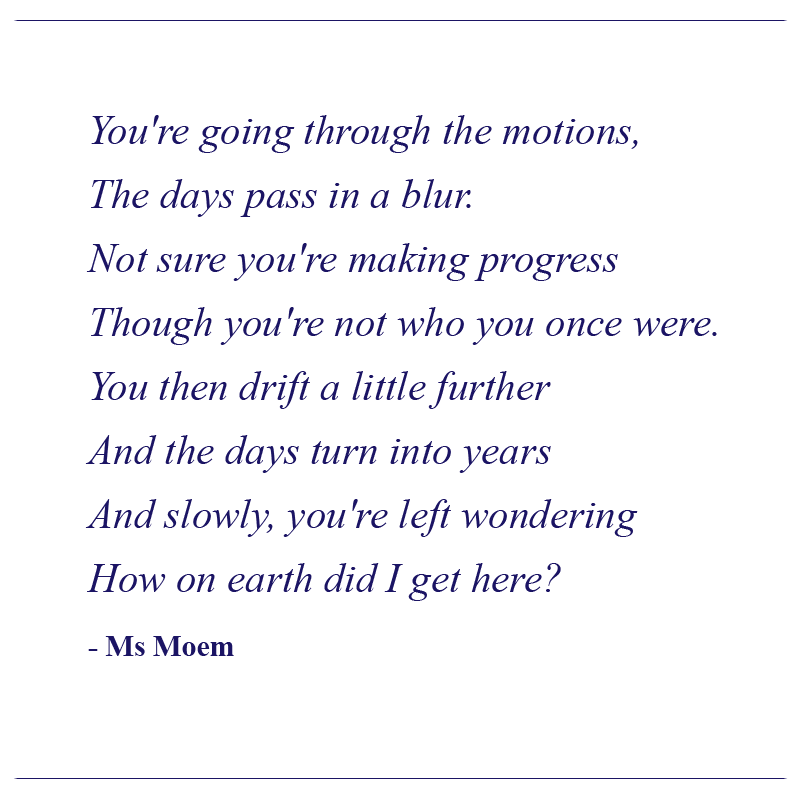 How Did I Get Here | Poem | Ms Moem | Poems. Life. Etc. The days pass in a blur. Though you’re not who you once were.